CD DVD Data Recovery | Data Retrieval Services, Inc.
Have you ever lost data from a so-called perfect CD or DVD? It happens, so it reminds us all to back up all our data more than once! Data Retrieval Services has been doing CD DVD data recovery since there was data there to recover. In fact, Data Retrieval Services was recovering magnetic media long before CDs and DVDs were invented. We were very busy recovering streaming tapes, tape cartridges, and removable hard disks from mainframe computers. If you have saved your priceless pictures to your computer, then made a copy of those pictures to a CD or DVD, you’re better off, but not completely safe from data loss. Hard drives crash and CDs and DVDs lose their signal strength. The odds of both those things happening at the same time are remote. If you keep those backup CDs and DVDs in a file cabinet next to your computer, then, once again, you have placed your data at risk. Keep your backups at a different location entirely. 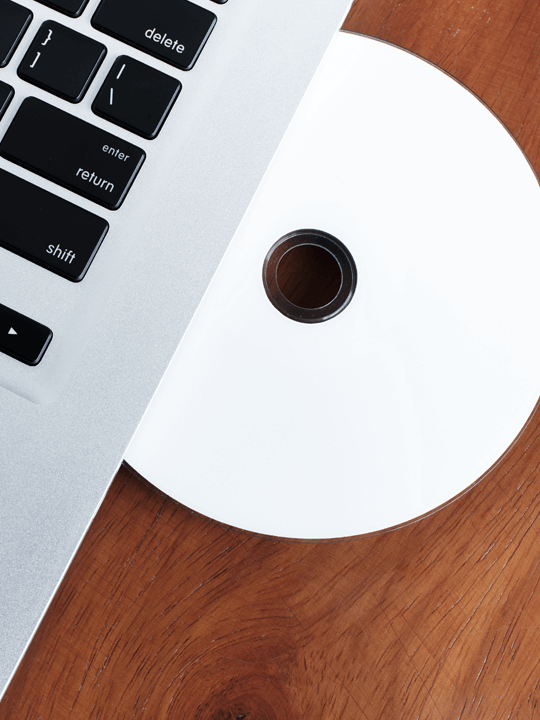 What can you do now that you have a CD or a DVD that can’t be read? Call us. It’s your first step. 727 797 6100. We will give you some answers as to what your chances are to get the lost data back. Sometimes the solution is to try another CD/DVD drive, or another computer. Many times, the problem is more complicated requiring special equipment to low-level read and copy data off the damaged media. Whatever the problem, our staff has many years of experience recovering damaged media so your very important data can come back to you. We can rescue lost files from a bad or trashed CD or DVD. We can recover important documents, precious pictures or videos of your family, your only system backup, the list is endless.